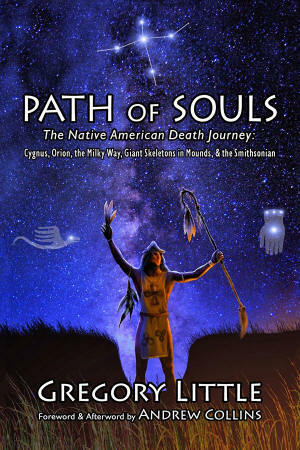 In Greg Little’s ‘Path of Souls,’ Andrew Collins proposed that the American giant skeletons found in Native American mounds were very likely Denisovan human hybrids. In the ground-breaking book ‘Path of Souls’ by Dr Greg Little, published in June 2014, Andrew Collins contributed a section proposing that the giant skeletons reportedly found across the United States over the past 200 years are the remains of human hybrids of extreme height. They are, he proposes, an admixture of two types of ancient hominins – most likely Homo sapiens and Denisovans, a new type of hominin identified for the first time from DNA evidence derived from human fossil remains over 40,000 years old found at the Denisova Cave in the Altai Mountains of northern Siberia. These findings were also the subject of a full-length lecture presented by Andrew at the Origins 2014 Conference in London in November 2014. Here Andrew takes the matter on to the next level, proposing that the Denisovan human hybrids first entered the Americas as much as 15,000 to 20,000 years ago, and survived through until the Adena period of American history around 1000 BC as elite groups controlling cosmic geography regarding the journey of the soul into the afterlife. The bones of the giants have been found in hundreds of Native American burial mounds, and almost always they date to the Adena period, ca. 1000-300 BC. These brand new theories revolutionize our views on the reality of the American giant skeletons, allowing them to take their place in science today. These same ideas were featured recently in a American TV show on the mystery of the American giant skeletons seen on the History Channel. Were the American giants Denisovan human hybrids? So for those interested in this fascinating topic here is the original theory as proposed by Andrew last year in Path of Souls. As Greg Little ably demonstrates elsewhere in this book, scholars and academics working on behalf of scientific institutions such as the Smithsonian have on many occasions recorded the discovery at mound sites of skeletal remains where the individual is of exceptional height. They have been found in a great many states, yet by far the great concentration of oversized human remains comes from a single region, this being the Kanawha Valley of West Virginia. This last piece of information makes it highly unlikely these tall individuals, who would often appear to have belonged to tribal elites, are simply the result of gigantism, or giantism, a genetic disorder caused by abnormal hormonal activity in childhood, something that results in the excessive growth of the skeletal frame. What was going on in West Virginia clearly indicates the presence of quite regular genetic activity in a population where these physical attributes were, for the most part, normal in the first place. Yet the word “normal” used here might well be a misnomer, for there is no record in human genetics to account for races of giants, which can only be perpetuated through a gene in the DNA that would mean the recurrence of excess growth in bones in every generation, not just randomly as is the case with gigantism. Nowhere either in Africa or on the Eurasian continent is there hard archaeological evidence to suggest that entire groups of anatomically modern humans reached over six feet tall. There is occasional evidence of gigantism, yes. Yet as stated here, this is a genetic disorder, not a recognized feature of normal human genetics. Then we have the apparent elitism afforded the giants of North America. Why should this have been, and how did it come about? The answer to all these mysteries might be determined by examining the appearance in the archaeological record of abnormal human skeletons, such as the one found in 1947 at the Blossom Mound site in the northern San Joaquin Valley of California. Belonging to a hunter-gatherer from the local Windmiller culture, who lived some 3,750 to 3,950 years ago, the skeletal remains, known as Burial 37, reveal several unusual features (Bartelink et al, 2014; Pastino, 2014). Although only five feet, five inches (170 centimeters) in height, the man’s physical appearance marked him out as different from other Native Americans. This is shown by the rich array of grave goods buried with him, including forty-eight beads fashioned from shells of the Olivella sea snail, seven ornaments carved from the shell of the abalone mollusk and an obsidian projectile point. What is more, his body was laid outstretched and face up, his head to the north, whereas the other 176 internees of the grave mound lay face down, their heads to the west. Some time after interment, Burial 37’s skull was removed and placed at over his left ankle, which is where excavators found it when the remains were discovered in 1947. All this suggests that the individual, believed to have been in his mid thirties or forties when he died, had a different journey ahead of him in the spirit world. Then we come to the medical condition of the remains, for Burial 37 is believed to have suffered from acromegaly (Bartelink et al, 2014), a rare disorder of the endocrine system related to gigantism. Yet unlike gigantism, where the pituitary gland begins to excrete large amounts of growth hormones during childhood, acromegaly is something that does not occur until adulthood, after the body’s long bones are fully formed. A tumor connected with the pituitary gland triggers the release of hormones, which stimulate whatever they can, resulting in abnormalities in the hands, face and feet. For this individual it meant a canine in his upper jaw growing upside down and protruding through the bone of his face immediately beneath the nose. Moreover, compared against fourteen other skulls examined from the mass grave, that of Burial 37 was taller and wider. The skull also possessed a heavy brow ridge, while the body had unusually thick arms and legs, traits that are unusual in modern humans, but are common in Neanderthal anatomy. In addition to this, he had an elongated chin, resulting in a “lantern” jaw, along with a pronounced nose giving it a beak- like appearance (Bartelink, Pastino, 2014). On top of this, the bony pocket in the skull that holds the pituitary gland, which is called the sella turcica as it looks like a Turkish saddle, was significantly enlarged. According to Dr. Eric Bartelink, a physical anthropologist at California State University who led the team that examined Burial 37, all these strange physiological traits can be put down to acromegaly, which is rarely seen in the archaeological record, and certainly not in burials this old. Having said this, two other cases of acromegaly are known from North America: one in a 600-year- old male burial found in New Mexico, and another in an unsexed 1,100-year- old skull unearthed in Illinois (Pastino, 2014). “I would expect that the person would have been treated differently, but it’s hard to say”. This said, there is little question that the individual would have looked striking in appearance, and very much in contrast to other Native Americans of the time. One of the most significant points about the skull of Burial 37 is the mis-growth of the eye-tooth, or canine, which is upside down and protruding through the bone just beneath the nose. Although this abnormality can be explained as the effects of acromegaly, the presence of supernumerary teeth in a person is more correctly known in the dental profession as hyperdontism. This can affect any part of the dental arch and result in the growth of any number of so-called supernumerary teeth. Those readers familiar with stories relating to the discovery of giant skeletons in the United States will be familiar with this disorder, as there are various accounts of oversized human skeletons where the skulls have been found to contain a “double row of teeth” in one or both jaws. “furnished with double teeth all the way round the jaw,” and Weston, 1906, 400, regarding a giant skeleton found in Middleboro, Massachusetts, with “a double row of teeth in each jaw”. Many more stories featuring large skeletons with double rows of teeth exist in old newspapers, but their authenticity cannot be verified). Supernumerary teeth in the skulls of giant skeletons is actually one of the most compelling pieces of evidence for their existence, as it appears far too often in accounts for it not to have some meaning. What it also tells us is that there might be a relationship between endocrine and pituitary disorders and abnormally sized skeletons in the archaeological record. This conclusion seems affirmed in the knowledge that members of the Middle Great Lakes-St. Lawrence culture, hunter-gatherers that occupied sites in the Great Lakes region, across Southern Ontario, Southern Québec and Southwestern New Brunswick between 4000 and 1000 BC, were of exceptional height. Men were around six feet (180.7 centimeters), while the women reached around five and a half feet (170 cm) (Wright, 1995, 257). This was noticeably taller that other indigenous peoples existing in Canada at the time. What is more, the exceptional height of these hunter-gatherers was actually increasing as time rolled by. This increase was only by an average of an inch or so per millennium, yet archaeologists and bone specialists who have examined the skeletal evidence of the Middle Great Lakes-St. Lawrence culture have noted this strange fact. Yet more important by far in connection with this prehistoric hunter-gatherer society-linked with the rise of the mound building culture of Ohio (Wright, 1995, 257) is that its exceptionally tall individuals suffered from hyperdontia, the appearance of supernumerary teeth (based on an examination of skeletal remains found at two sites in the Ottawa Valley, see Wright, 1995, 257). This further connection between increased height in Native Americans and hyperdontism cannot be ignored and affords even more weight to the existence in the past of whole groups of individuals of exceptional height, many of them, as stated elsewhere in this work, over seven and a half feet in height. So who were these giants? Were they simply freaks of nature, or a population in their own right? A realistic explanation might lie on another continent altogether. Turkish paleoanthropologist Muzaffer Senyürek of Ankara University made a careful study of the skeletal remains of the ancient inhabitants of Anatolia and found a high incidence of a dental disorder known as taurodontism (Senyürek, 1949). Like hyperdontia, to which it is related, taurodontism is considered a genetic abnormality that results in the enlargement of teeth out of proportion to the roots of the jaw. The cause of taurodontism is not properly understood, and is explained, variously, as a genetic mutation, a pituitary malfunction or even an evolutionary throwback (see the Wikipedia entry for taurodontism, for instance). However, we know something else about taurodontism, this being that it is often found in the skulls of Neanderthals, our extinct cousins. They emerged out of Africa as distinct hominin, that is a distinct human species or sub-species, around 200,000 to 300,000 years ago, and quickly spread throughout Europe, going as far north as the Arctic region and as far east as the Altai Mountains of southern-central Siberia. Following the appearance in these same territories of anatomically modern humans some 40,000 to 45,000 years ago, the two different types of hominin – Homo neanderthalensis and Homo sapiens – shared the world, but eventually, around 30,000 years ago, the Neanderthals disappear from the archaeological record, either overrun by us humans and/or absorbed into the human gene pool. With continuing evidence emerging to the effect that almost every member of the human species outside of Africa has between one and four percent Neanderthal DNA (see, for instance, Yong, 2014), the absorption of the Neanderthal population into that of our own is becoming more and more likely. We mated with our more primitive-looking cousins. That’s a fact. Moreover, the discovery of a finger bone and two human molars of a completely unknown human species in the Denisova Cave of the Altai Mountains of southern-central Siberia, and the extraction of its nuclear genome by geneticist Svante Pääbo and his team at Leipzig’s Max Planck Institute of Evolutionary Anthropology, suggests that Denisovans share genetic traits with the Neanderthals (Jacobs, 2012). Between 300,000 and 40,000 years ago the Densiovans inhabited a vast area of the ancient world that stretched from the Altai Mountains in the west to China and Southeast Asia in the east. In Central Asia at least they interbred with their cousins, the Neanderthals, and with anatomically modern humans. Indeed, current-day human populations, such as the Melanesians, represented by the Pacific islanders of Papua New Guinea, and Aboriginal Australians, all show between four and six percent Denisovan DNA (Jacobs, 2012; Harmon, 2012). Other human populations, such as the Burmans, Malays, Han Chinese, and Polynesians, also have Denisovan DNA, but in far smaller quantities (Reich, 2010a & 2010b). Almost no Denisovan DNA has been detected in the populations of Europe and Southwest Asia, which would have been key territories of the Neanderthal populations prior to their disappearance around 30,000 years ago (Reich, 2010b & Jacobs, 2012). So what has all this to do with giants on the American continent? The answer is that interbreeding between these three different sub-species of the human (homo) genus-along with that of a fourth hominin, whose existence is known only from the presence of its DNA in a suspected Neanderthal toe bone discovered in the Denisova Cave that also contained Homo sapiens and Denisovan DNA (Prüfer, 2013; Sanders, 2013)-might well have caused profound changes in modern human DNA. This might well have included genetic alterations and mutations, which have resulted in changes both to the body’s physiognomy and the brain’s thinking processes, in other words in the way we perceive and interact with the world around us. This is a study in itself that might take decades to disseminate in order to fully understand its implications to anthropology today. In addition to this, hybridization between the four different sub-species of the hominin genus could easily have resulted in abnormalities appearing either as growth disorders, or as traits that can be seen as evolutionary throw backs stemming from other sub-species, or, indeed, existing forms of hybrid. All of the medical disorders cited above – gigantism, acromegaly, hyperdontism and taurodontism – might easily be connected with hybridization, something that can be seen from the clear Neanderthal traits of Blossom Mound’s Burial 37 and the taurodontism present among the earliest peoples of Anatolia. As we have seen, taurodontism was a common trait among the Neanderthal population. Yet Neanderthals were in no way giants. Indeed, they were smaller in size than the earliest anatomically modern humans (such as Western Europe’s Cro-Magnon man or Central Europe’s Brünn population-see Collins, 2014), who rarely rose above six feet in height. Denisovans on the other hand might have been giants. The size of the two molars recovered from the Denisova Cave are large. The second one found was larger than the first, with a chewing surface twice the size of that of a typical human molar. Indeed, when first discovered, Max Planck paleoanthropologist Bence Viola is said to have mistaken it for that of a cave bear. Only when the tooth’s DNA was tested was it confirmed to be that of a Denisovan hominin. “It shows you how weird these guys are,” he said. “At least, their teeth are just very strange”. Further evidence that Denisovans might have been of exceptional height comes from another genome analysis, this time of a 400,000-year-old femur from a cave called the Sima de los Huesos (‘pit of bones’) in northern Spain. It belongs to an extinct species of hominin known as Homo heidelbergensis, who occupied Africa and much of the Eurasian continent between 800,000 and 200,000 years ago. Denisovans, Neanderthals and our own antecedents (Homo sapiens) are all thought to have a common ancestor in Homo heidelbergensis, although as to when each sub-species split apart and went their own way remains a matter of conjecture and fierce debate. Having said this, anthropologists have always considered that the closest ancestor to Homo heidelbergensis was the Neanderthal. Yet an examination of the mitochondrial DNA from the Homo heidelbergensis femur found in Spain revealed it to be much closer to that of the Denisovans, who thrived thousands of miles away in the Altai Mountains of Siberia (Callaway, 2013). This was a complete shock to geneticists and prehistorians alike, especially as no hard evidence of Denisovan DNA has so far been found among present-day European populations. Despite this clear link between Homo heidelbergensis and the Denisovans anthropologists such as Chris Stringer, head of Human Origins at London’s Natural History Museum, still hold that Neanderthals are more closely related to Homo heidelbergensis than the current mitochondrial evidence implies. Knowing that the Denisovans are related directly to Homo heidelbergensis is significant, for although a reconstruction of twenty-seven complete human limb bones found in the caves of the Sierra de Atapuerca in Spain has led to the conclusion that the height of Homo heidelbergensis in Europe was around five feet, seven inches (170 cm), which is just slightly taller than their cousins the Neanderthals, there is compelling evidence that some of their populations grew much taller. Lee R. Burger of the University of Witwatersrand has examined numerous fossil bones belonging to Homo heidelbergensis populations that inhabited South Africa between 500,000 and 300,000 years ago and has discovered that these “giants” were routinely over seven feet (2.13 meters) in height (Burger, 2007). This opens the door to the closely related Denisovans being of equal height, and seeing as how their teeth are almost twice the size of our own, this has be a strong likelihood indeed. It is time now to consider further the giant skeletons with jaws containing double rows of teeth. Those accounts that are authentic most likely refer to human or hominin hybrids who carry strong Denisovan-human or Denisovan- Neanderthal-human genetic markers. It is even possible the giants of North America contain DNA belonging to the fourth type of hominin identified from DNA evidence alone, and who is now believed to have bred with all three other sub-species-Denisovans, Neanderthals and archaic humans (Prüfer, 2013; Sanders, 2013). As to the identity of this fourth type of hominin, no one will know until its very specific DNA markers can be compared with those of other known hominins, and that could take a while. Species-x, as we shall call them, could be survivors of a Homo heidelbergenis population, or they might be an even more ancient hominin sub-species known as Homo erectus (Waddell, 2013; Timmer, 2013). Although Homo erectus entered the scene as much as 1.9 million years ago, and stayed around until around 150,000 years ago, it is thought they may have survived in small pockets in Indonesia until around 50,000 years ago, and arguably even as late as 27,000 years ago. It is a conclusion based on anatomical remains of Homo erectus recovered from an important hominin settlement site at Ngandong on the Indonesian island of Java (Grün and Thorne, 1997; Rose, 1997). The final icing on the cake is in the fact that the DNA of the Mixe peoples of Mexico and the Karitiana of Brazil, as well as that of other Native American tribes, contains a small percentage of both Denisovan and Neanderthal DNA (Estes, 2013; Prüfer, 2014), showing that their ancestors must have come into contact with these populations, or indeed their hybrids, either in Asia or on the American continent somewhere. Although the Mixe and Karitiana tribes are not noted for their extreme height, the fact remains that Denisovan and Neanderthal DNA exists among the Native Americans of today. So there is every chance that human hybrid populations that inhabited the American continent both before and after the drowning of the Beringia land bridge would have preserved at least some of their Denisovan, Neanderthal and species-x traits across the generations. These would have included not only an increased height (inherited from the Denisovans), but also, like Blossom Mound’s Burial 37, prominent brow ridges, thick arms and legs, and other so- called “archaic” features (inherited from Neanderthals, and possibly even from Denisovans and species-x, whoever they turn out to be), as well as skulls with “archaic” features derived from early forms of Homo sapiens. More important is the fact that these human hybrids would also have been prone to genetic disorders including extreme growth and various other physical abnormalities caused by diseases such as acromegaly, hyperdontism, taurodontism, with hyperdontism being the most likely cause of the double rows of teeth so often reported in connection with the skulls of giant skeletons, a fact that almost certainly confirms their origin as human hybrids. Indeed, the authors of this work would encourage anthropologists, archaeologists and geneticists to cast aside their prejudices and more closely examine reports of giant skeletons in the archaeological record. What is more, the nuclear and mitochondrial DNA of skeletal remains found both on the American continent, and elsewhere in the world, which display clear evidence of a genetic disorder of the type described here, should be compared against the known genetic markers of our hominin cousins. We believe this will prove to be a fruitful exercise that will change the way we perceive the evolution of humankind on this planet. So in conclusion it seems unlikely that the giants of the American continent are a race, or human sub-species, separate to that of anatomical modern humans (Homo sapiens sapiens). Almost certainly they are human hybrids that have resulted from interbreeding between three, and possibly even four, different human sub-species. The coming together of all these different peoples-whose descendents existed in and around the Altai Mountains of southern-central Siberia around 40,000 to 50,000 years ago-no matter how brief or how intimate, almost certainly changed human evolution in ways we cannot even begin to understand at this time (and see Collins, 2014, in which the current author explores the impact Neanderthal-human hybrids had on the rise of civilization). It is too early to say what kind of influence the human hybrids might have had on the cosmological beliefs and practices of America’s first peoples. 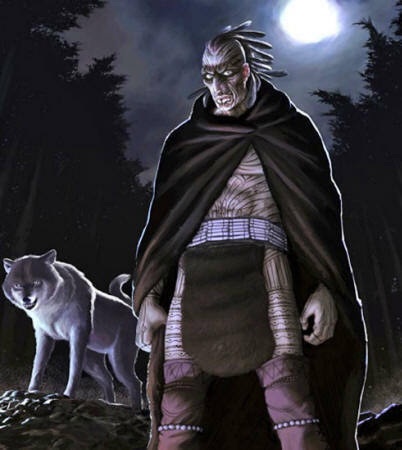 Although the fact they were very likely individuals of extreme height and/or of striking appearance (like Blossom Mound’s Burial 37) suggests they would have been classed as special in some way. What is more, if there were whole groups of them, as would appear to have been the case in the Kanawha Valley of West Virginia, the chances are they would indeed have formed the ruling elites. As such they would have seen themselves as responsible for the dissemination of their pre-existing belief systems, which derived originally from archaic populations that thrived on the Eurasian landmass many thousands of years before the submergence of the Beringia land bridge in around 8500 BC. These age-old beliefs might well have included the idea that humankind’s own origins and destiny lay among the stars, with a particular emphasis on those stars existing in the constellation of Cygnus, the great sky bird. Here the Milky Way as the Path of Souls forks to highlight the entrance to a world existing beyond our own. Maybe it was for this reason that we came to believe that the giants, the human hybrids, were of the stars themselves, simply because they were the ones who provided us with the knowledge of how we as a species could, quite literally, return to the stars. Not in a physical manner, but through the profound journey of the soul. Bancroft, Hubert Howe, The Native Races: IV-Antiquities. San Francisco, CA: A. L. Bancroft & Company, 1882. Bartelink, Eric J., Nikki A. Willits and Kristin L. Chelotti. “A probable case of acromegaly from the Windmiller culture of prehistoric Central California,” International Journal of Paleopathology 4 (2014), 37-46. Burger, Professor Lee, interview, “Our Story: Human Ancestor Fossils”, The Naked Scientists: Science Interviews, November 25th, 2007. http://www.thenakedscientists.com/HTML/content/interviews/interview/833/. Retrieved April 27th, 2014. Callaway, Ewen, “Hominin DNA baffles experts: Analysis of oldest sequence from a human ancestor suggests link to mystery population,” Nature, December 4th, 2013, http://www.nature.com/news/hominin-dna-baffles-experts-1.14294. Retrieved April 27th, 2014. Collins, Andrew. Göbekli Tepe: Genesis of the Gods. Rochester, VM: Bear & Co, 2014. Estes, Roberta, “Native Americans, Neanderthal and Denisova Admixture” DNA- Explained-Genetic Genealogy, December 26th, 2013, http://dna-explained.com/2013/12/26/native-americans-neanderthal-and-denisova-admixture/. Retrieved April 27th, 2014. Grün, Rainer, and Alan Thorne, “Dating the Ngandong Humans,” Science 276: 5318 (1997), 1575-76. Harmon, Katherine, “New DNA Analysis Shows Ancient Humans Interbred with Denisovans,” Scientific American, August 30, 2012. http://www.scientificamerican.com/article/denisovan-genome/. Retrieved April 28, 2014. Jacob, Sandra, et al, “Ancient genome reveals its secrets”, Max-Plank-Gesellschaft, August 30, 2012. http://www.mpg.de/6328259/denisovan_genome1. Retrieved April 28, 2014. Pastino, Blake de, “Earliest Evidence of Gigantism-Like Disease Found in 3,800-Year-Old California Skeleton,” Western Digs, March 24, 2014, http://westerndigs.org/earliest-evidence-of-gigantism-like-disease-found-in-3800-year-old-california-skeleton/. Retrieved April April 24th, 2014. Prüfer, Kay, et al, “The complete genome sequence of a Neanderthal from the Altai Mountains,” Nature 505 (January 2nd, 2014) 43-49. Reich, David, et al (2010a), “Genetic history of an archaic hominin group from Denisova Cave in Siberia,” Nature 368: 7327 (December 22, 2010), 1053-1060. http://www.nature.com/nature/journal/v468/n7327/abs/nature09710.html. Retrieved April 28, 2014. Reich, David, et al (2010b), “Supplementary Information: Genetic history of an archaic hominin group from Denisova Cave in Siberia,” December 22, 2010. http://genetics.med.harvard.edu/reich/Reich_Lab/Publications_files/2010_Nature_Denisova_Genome_Supplementary-1.pdf. Rose, Mark, “Homo Erectus Survival”, Archaeology: Archive 50:2 (March/April 1997), http://archive.archaeology.org/9703/newsbriefs/h.erectus.html. Retrieved April 27th, 2014. Sanders, Robert, “Neanderthal genome shows evidence of early human interbreeding, inbreeding,” UC Berkeley News Center, December 18th, 2013. http://newscenter.berkeley.edu/2013/12/18/neanderthal-genome-shows-evidence-of-early-human-interbreeding-inbreeding/. Shreeve, Jamie, “The Case of the Missing Ancestor: DNA from a cave in Russia adds a mysterious new member to the human family”, National Geographic, July 2013, http://ngm.nationalgeographic.com/2013/07/125-missing-human-ancestor/shreeve-text. Retrieved April 27th, 2014. Senyürek, Muzaffer Süleyman, “The occurrence of taurodontism in the ancient inhabitants of Anatolia: a preliminary report,” Turk Tarih Kurumu Belleten 13 (1949), 215-27. Timmer, John, “Pre-modern humans may have picked up genes from Homo erectus,” arstechnica, December 18th, 2013. http://arstechnica.com/science/2013/12/pre-modern-humans-may-have-picked-up-genes-from-homo-erectus/. Retrieved April 29th, 2014. Waddell, Peter J., “Happy New Year Homo erectus? More evidence for interbreeding with archaics predating the modern human/Neanderthal split”, Cornell University Library, arXiv:1312.7749v1, December 30th, 2013. http://arxiv.org/abs/1312.7749. Retrieved April 29th, 2014. Wright, J. V. A History of the Native People of Canada: 10,000-1,000 BC. Gatineau, Quebec: Canadian Museum of Civilization, 1995. Yong, Ed, “Surprise! 20 Percent of Neanderthal Genome Lives On in Modern Humans, Scientists Find,” National Geographic, January 29th, 2014, http://news.nationalgeographic.com/news/2014/01/140129-neanderthal-genes-genetics-migration-africa-eurasian-science/. Retrieved April 29th, 2014. NOTE: Thanks go out to Greg Little for allowing the publication of this essay from Path of Souls, and also to Debbie Cartwright for getting me on to the significance of the Denisovans and the Denisova Cave back in the spring of 2013. Does One Third Of The Human Race Have To Die To Have A Sustainable Earth?